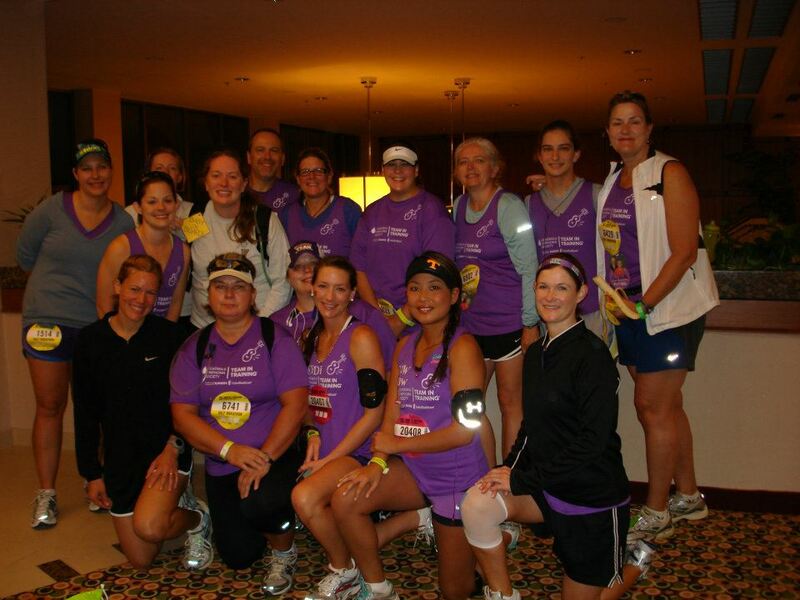 Doing your first marathon is an amazing experience, but doing it with Team in Training goes far beyond that. 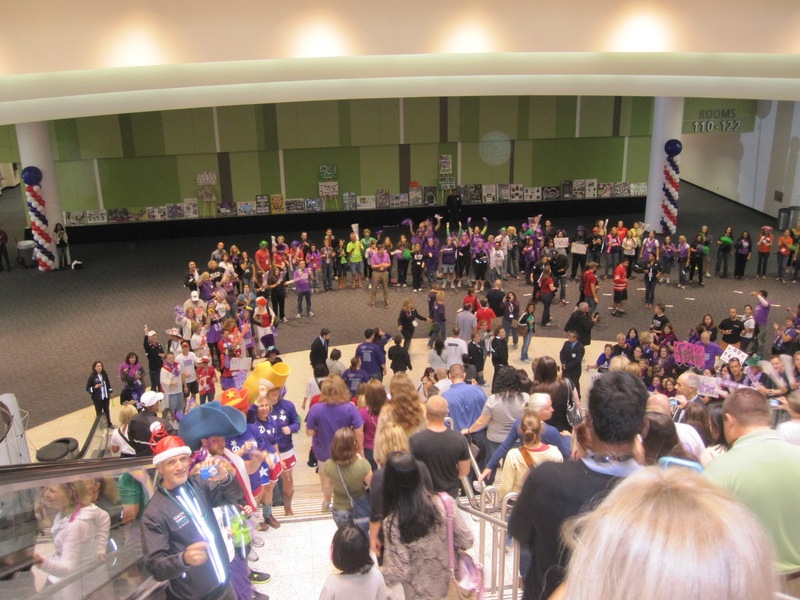 I loved being able to raise a significant amount of money for The Leukemia and Lymphoma Society, especially as I did it alongside thousands of other people. My hope was that we would be an encouragement to those fighting blood cancers and to their families. Although I did my part to raise money and awareness, I still felt like it was more the result of the support of my family and friends and the result of the coaches and support staff from Team in Training–that all of them deserved any applause coming. Therefore, when I entered the huge building where the Inspiration Dinner was being held the night before the race, I was more than overwhelmed and humbled by the deafening applause and cheers that erupted as we, the race participants and fundraisers, walked through the doors and down the corridor of TNT coaches and support staff toward our dinner tables. These cheerleaders literally injured their own ear drums for at least a full hour as everybody streamed through into the huge dinner hall. I choked up, not feeling worthy and not able to look at those cheering, as I thought of my sister and others dealing with the same horror of cancer–the reason why we were doing what we were doing. At the dinner, we were amazed by the enormous amount of people on an ongoing slide show either taken by or fighting through a blood cancer. 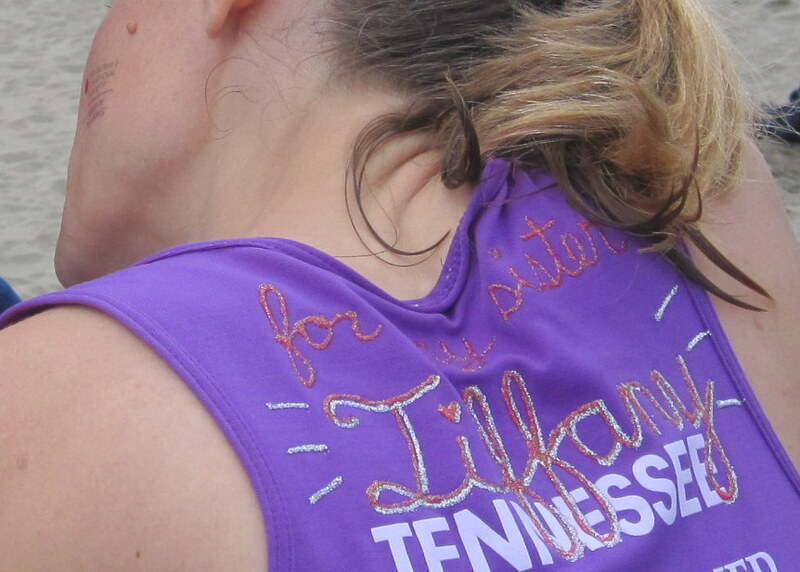 We were touched by a mother doing the Nike Women’s Marathon as a fifth major way for her to give back and celebrate five years of her son being cancer-free. 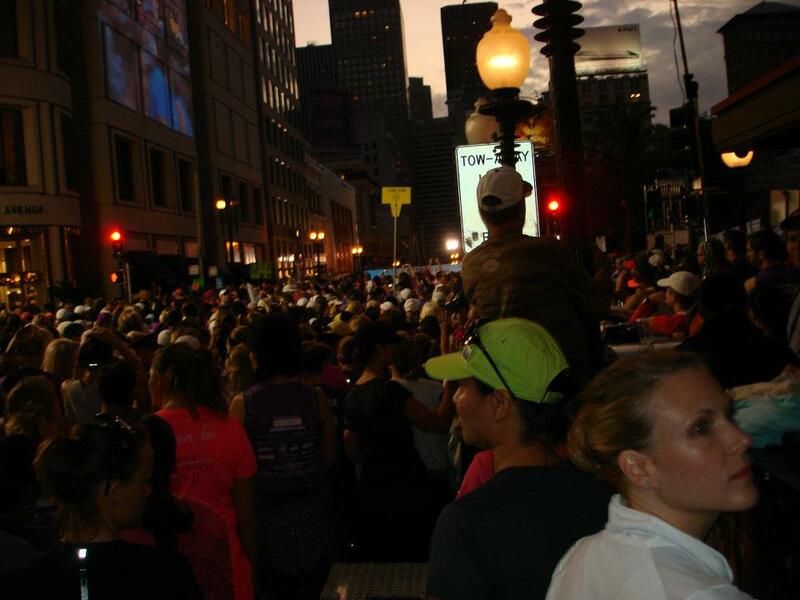 We were entertained by a Runner’s World writer, the Penguin, who told us what we should expect during the marathon. 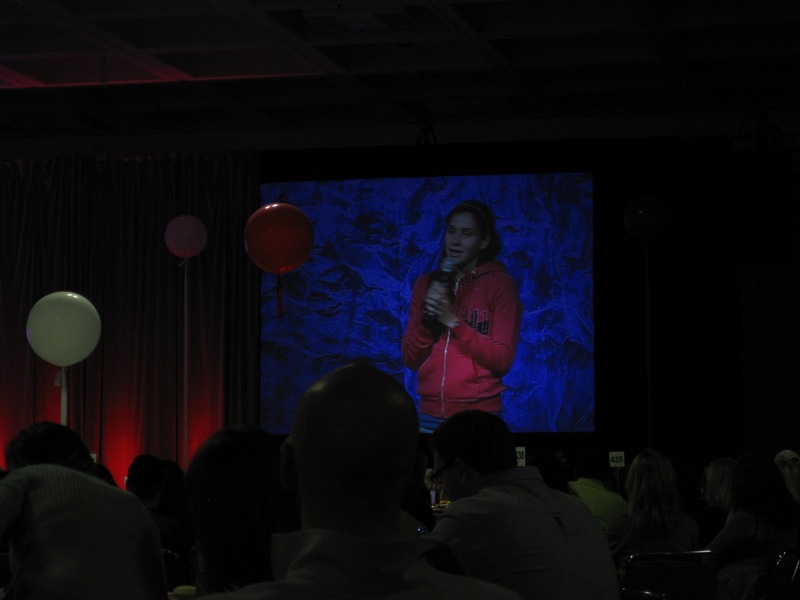 And we were inspired by Olympian and 2:24 marathon runner Kara Goucher. One of the best things about Team in Training is meeting the amazing people who participate in it. 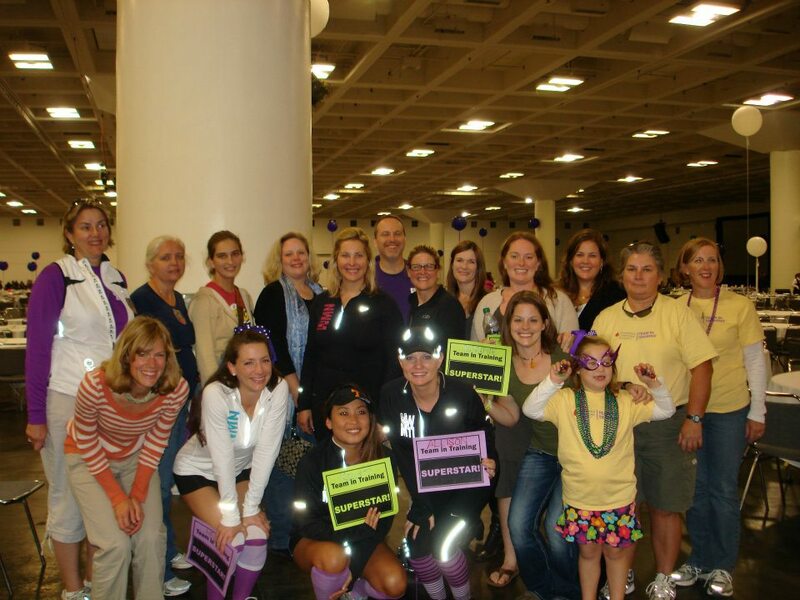 The little girl in the purple glasses was our honored teammate–the one for whom we all ran. She had leukemia, but during our training, she finished her last treatment, and we were able to celebrate with her. Here we all are (including our Nashville teammates) the morning of the race. The starting area was absolutely packed. 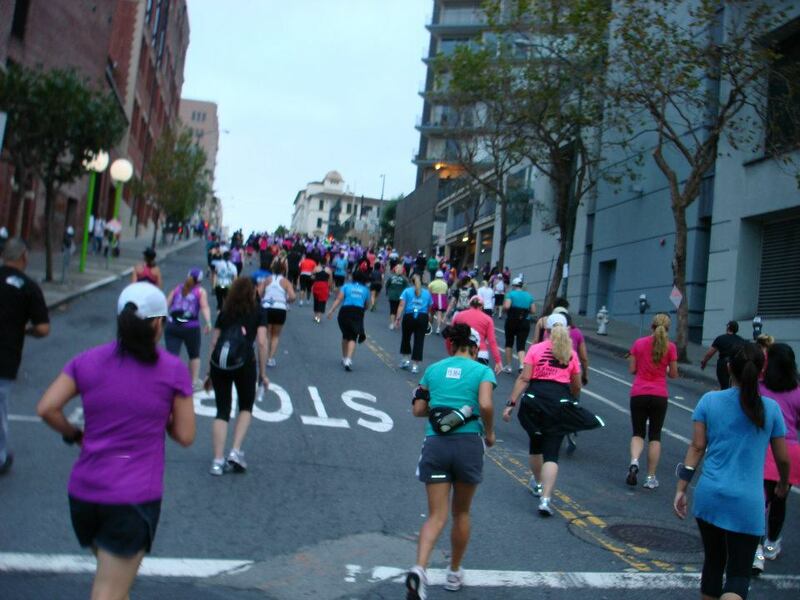 It was almost harder to get my bag to bag check through the crush of people than to do the marathon–I thought I wasn’t going to make it to the start in time. Thankfully, I made it with several minutes to spare. I was in a corral of people with similar goal times near the front, but it still took me about a minute and a half to get to the starting line once the gun fired. I guess I should have started a little closer to the front of my corral because I was stuck behind a lot of runners going at a slower pace than I needed to run. I had been warned repeatedly not to go out too fast, but I didn’t really have a choice–I had to go about a minute slower per mile than I wanted for the first mile or so. Around when this picture was taken, maybe two miles into it, I was fairly euphoric. People were excited all around me, I heard two women praying aloud while running that they might glorify God, and I turned to them, and said, “Me, too!” meaning that I wanted to glorify Him, too, but I wonder now if they thought I wanted to be glorified, too. 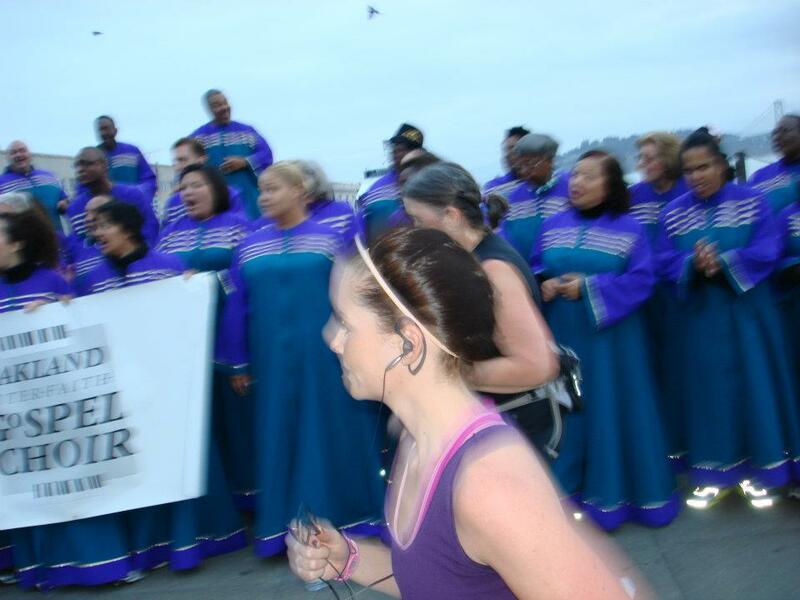 We ran by this gospel choir singing beautiful praise, and I know I was beaming. About three miles in, my hamstring started to hurt. I was on an anti-inflammatory that had held me up without hamstring pain in a workout four weeks prior for almost 17 miles, so when I started hurting after three, I was really concerned. I remembered trying to run through pain in a marathon in Orange County, getting halfway through and having to get someone to drive me back. I went probably four or five years without running because of that injury. I didn’t want to do the same thing again, so I prayed for wisdom–should I stop or not? And, of course, I prayed that God would heal me and let me run. It wasn’t two minutes later that my hamstring stopped hurting and never hurt again the entire 23.2 miles that I had left to go, not even up the hills. I haven’t been running since the marathon, but the hamstring never hurt more than anything else even when I was so sore after the race. I can only attribute this to the kindness of God, listening to my and many friends’ and family members’ prayers. I’m still in awe that with all in the world that needs prayer, that so many people would take the time to pray for something as unimportant as my hamstring for this marathon of mine. But it was very important to me, and although I don’t think it helped a soul but my own to run this thing (I had already raised the money), God healed me and allowed me to run it. He is such a kind God–a good Father who wants to give good gifts to His children. I know this about Him and have had it proven many times, but this fact still never ceases to astonish me. Something that shouldn’t have surprised me about this race since I had repeatedly been warned, were the hills. I had been told there would be no cable car hills, so I thought they’d be no big deal. This first one was short and relatively painless. But there were several more that seemed to go on a long time. Below was the first long one, but thankfully, it wasn’t too bad with the help of some extremely generous TNT coaches. Each coach was stationed in a section of the race, and the coaches would especially cheer for TNT runners and then choose certain ones who looked like they needed encouragement to run with them. I must have looked like I needed encouragement on this hill because I had three different coaches (one at a time) help me run up it, one of which was my own, very dedicated, encouraging coach from Knoxville, John Longmire! He ran 30 miles by the end of the marathon just helping different runners. 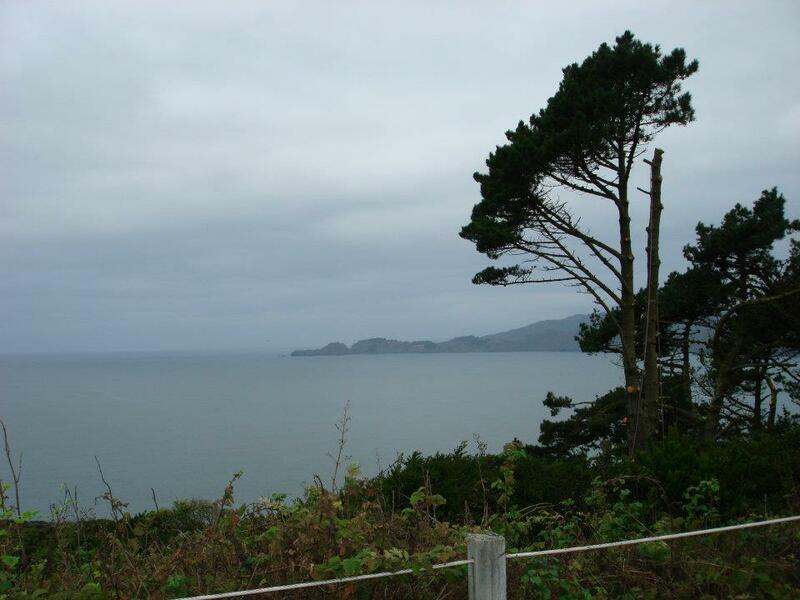 He encouraged me to look at the view once I reached the top, and although I was fairly addled by the time I reached it, I was blown away by the beauty. I wished several times that I could take pictures–I’m glad a friend on the team took some, but the pictures still don’t do it justice. 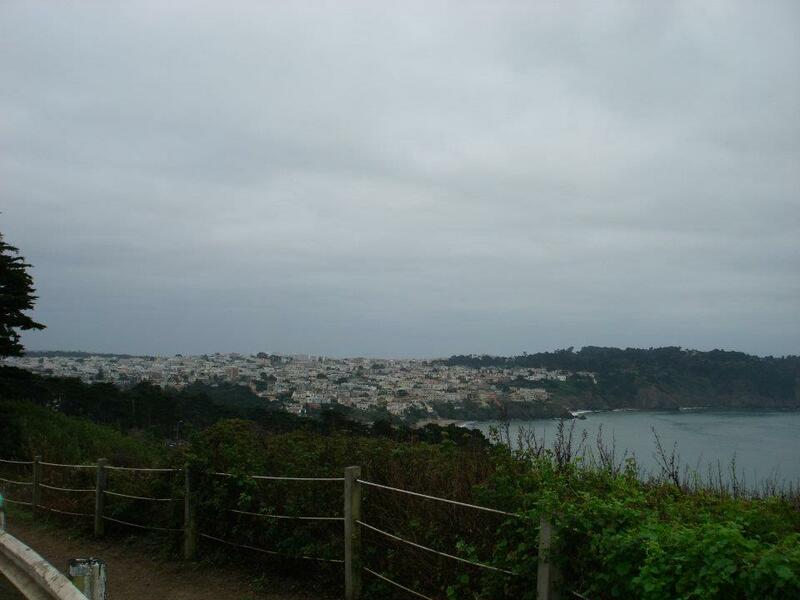 This view was so beautiful, it reminded me of the Amalfi Coast in Italy. 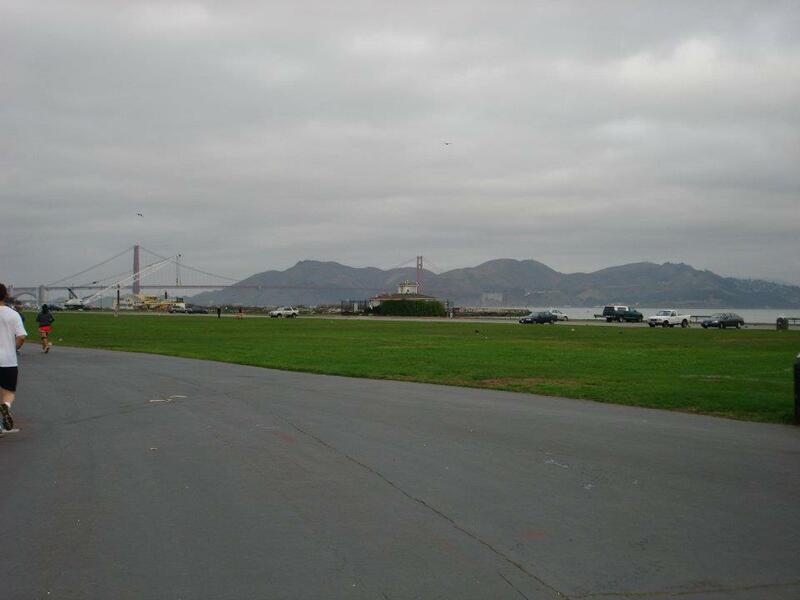 And, although this picture doesn’t show it very well, we had an amazing view of the Golden Gate for a very long time as we ran by a beautiful park showcasing it. I don’t know how many times I thanked God for being a part of this whole experience and getting to see such beautiful sights. And although there were a lot of uphills, of course that means that there were some sizeable downhills as well–free running! It was a good place for me to make up the time I had lost on the way up. People ask what you think about when you run for such a long time. Normally, I try to pray for people when I run, and I laugh at myself because my brain starts working so slowly that I end up praying for the same person for 8 or 10 miles. It takes all my concentration to go on to the next person. I did pray for people a little, I thanked Him a lot, I asked Him for help, I listened to and tried to get away from one obnoxious chattering girl who obviously didn’t feel like the marathon was a very hard thing to do, I drank water, I ate Power Gel, I scrambled after a water bottle I dropped once, and I even encouraged a few TNT runners (“Go, Team!”). I laughed at cheerleaders lining the road yelling, “Run, run, down the road! Run, run, down the road!” Yeah, that’s why we don’t normally ask them to cheer for us runners. 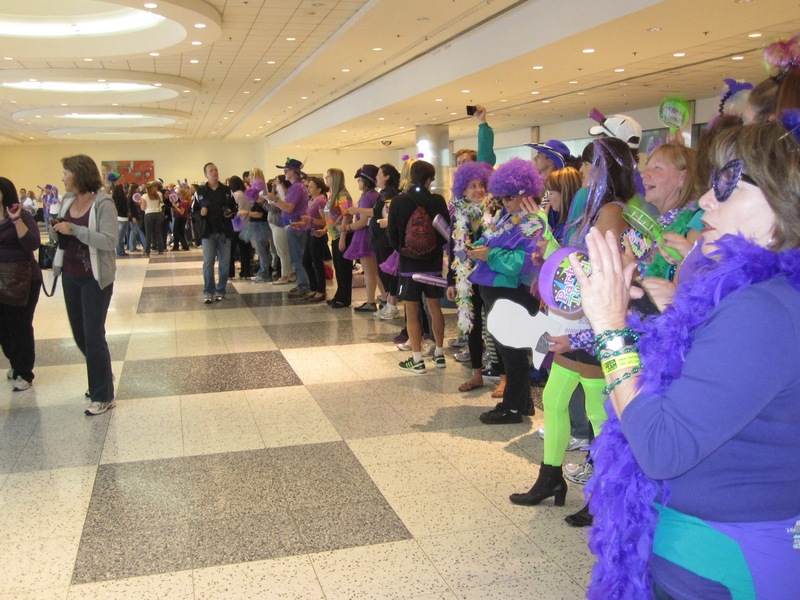 I got a huge boost and grinned whenever I heard drummers–there were several energetic groups along the way. For a long time, I watched for my family because I knew they might be at mile 11 or 16 in Golden Gate Park since those points were near the finish line (I found out later that my poor brother, his wife, and my nephew had tried to see me, but they couldn’t find parking, and when they finally did a long way away and had gotten down to the finish on their skateboards and scooter, they couldn’t get across the main road where everyone was running, and with 70,000 people down at the beach and my mom’s phone not working, they couldn’t find us, either. My mom was just trying to manage to make it to the finish line without a stroller with my very tired three year old). 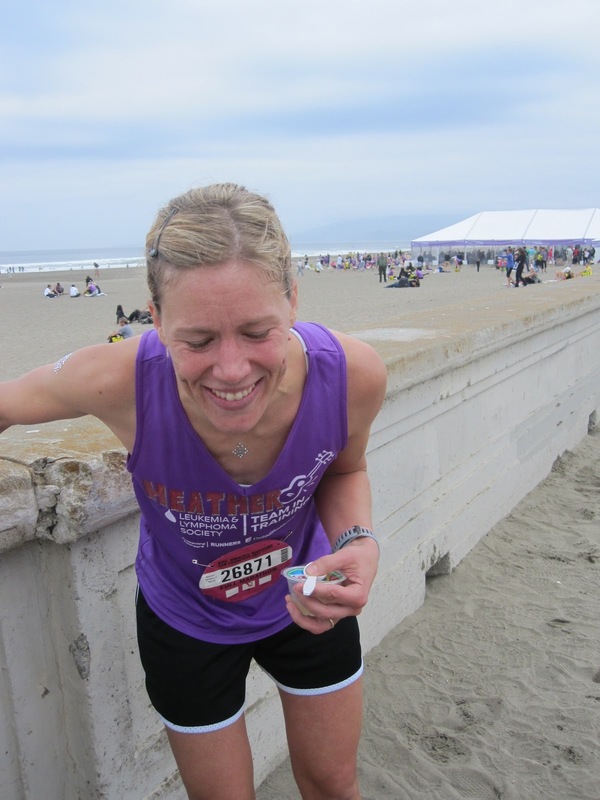 When I saw one of my best friends, Ellen, maybe around mile 16, who had come up from Southern California, I received the biggest burst of energy–I couldn’t believe how good it was to see her face. Just after the Ghiradelli chocolate mile (they were giving out chocolate squares–as if I was going to eat one of those at that point), just before mile 22, I had just passed a TNT runner who I had run with for a little while (a TNT coach had run with us for a short time and encouraged us but had stopped maybe a half mile back), and I was feeling pretty exhausted. A TNT coach asked if I wanted someone to run with me, and I just nodded at him. I was past the point of talking or even smiling. That guy encouraged me, picked up my water bottle when I dropped it once again, filled it up with water since I was all out (I was wearing a fuel belt–I only choke on and spill the water in cups they have at races), and ran with me for about a mile and a half (it felt like at least three). I know I couldn’t have made the time I did without the TNT coaches. The best runners get pacers/rabbits, but the rest of us could use a little help now and then, too! TNT provided that for us. The last two and a half miles were on a long, straight road that seemed to go on forever. At that point, I was pretty much by myself, and it was pretty painful, but also hope-filled since I knew I was getting really close. Below is a picture of me near the finish line. 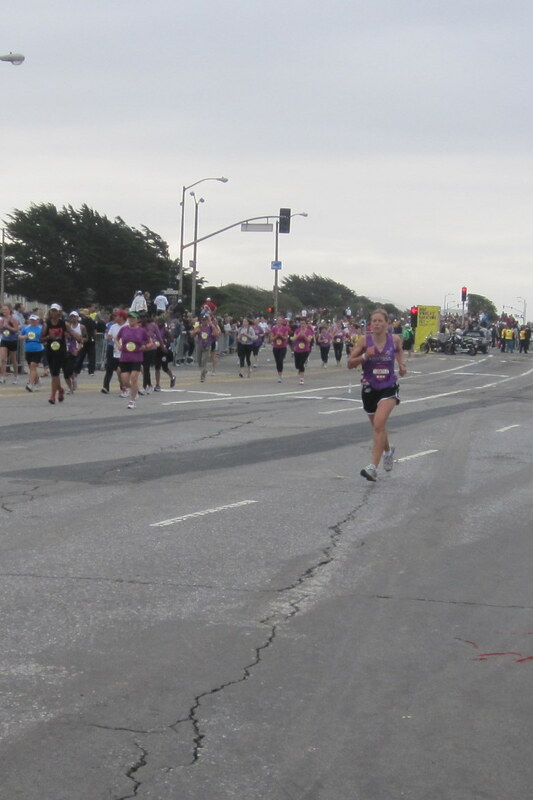 I guess I looked pretty bad when I finished because three people all together tried to pull me into a wheelchair moments after I finished, but I refused because I couldn’t imagine sitting down at that point–I would have thrown up or passed out, I think. I literally had to yell at them to get them to leave me alone. A few moments later, a woman was handing out protein drinks, and I wanted one, so I looked at her to get one, but when she saw me, instead of giving me a drink, she gave me a concerned look and told me she was a nurse–could she help me? A few steps later, I realized I was being followed, and the wary guy who realized he had been caught hastily told me that he was just making sure I was ok (I guess he didn’t want me yelling at him, too). 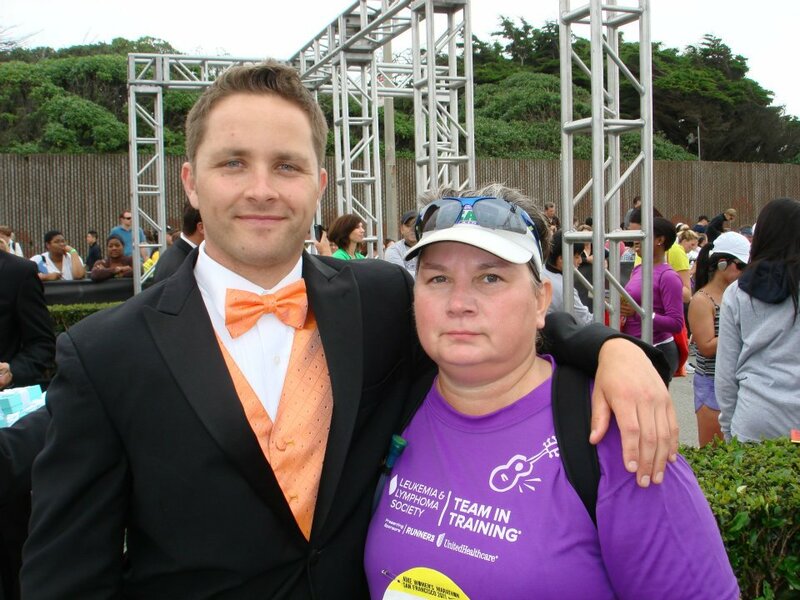 He hustled me ahead of the line to exit where I could receive my Tiffany finisher’s necklace and get a picture taken with a tuxedoed fireman if I wanted (I didn’t) and pick up my finisher’s shirt. He pointed me several times to the medical tent, which I ignored. …where I stayed for another half hour or so while they checked me out, cleaned and bandaged my blisters (I had one blood blister that was so huge and gross that it made two separate RNs gasp), gave me water and Gatorade, and finally determined that I was ok to release. 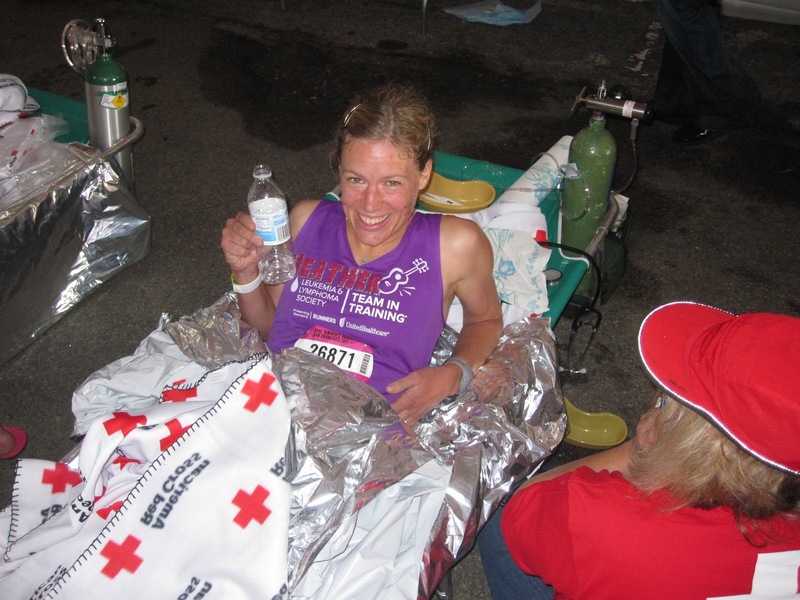 I was probably dehydrated, but I was fine–I’m usually in a good amount of pain after a long run. They let me keep the cool Red Cross blanket! 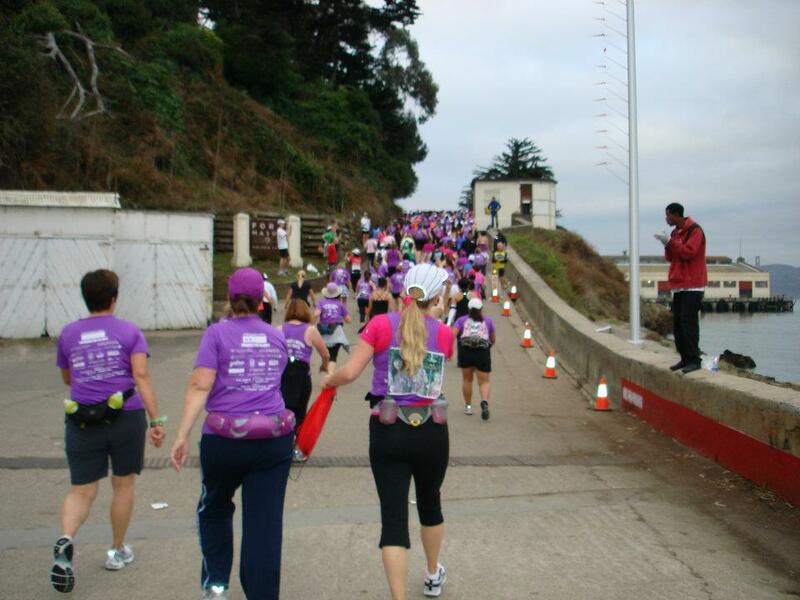 As you can see on the back of my shirt below, I did this whole thing in honor of my sister Tiffany who died of leukemia. I did it to help others going through the same ordeal. I did it to honor my father, who also died of cancer, who did a Team in Training event years before my sister was diagnosed. I did it to honor my mother, who lost even more than I did when she lost her husband and daughter. I did it to see if I could do it in the time I wanted, and thankfully, God allowed me to get very close to my goal time, just nine seconds away: 3:31:08 and tenth in my age group. I did it to qualify for the Boston Marathon, a goal I’ve had for a long time, which I was also thankfully able to do. Praise God for His goodness in allowing me to do so much of what I had hoped! After cleaning up afterwards, I limped over to the Cheesecake Factory at the top of Macy’s in Union Square (pretty much every muscle in my body was sore for days afterwards) and celebrated my nephew’s 19th birthday with my brother, his wife, my mom, Mr. C, and Ellen with key lime cheesecake and chocolate mousse cheesecake. Could there be a better finish?